Our biggest conference in the north returns to Manchester. With Brexit a fixed feature of uncertainty in the landscape, it’s crucial for financial managers to possess the latest knowledge to maintain a robust role, and to keep growing and developing strategies at a challenging time. 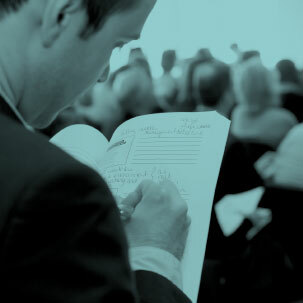 CFG’s Northern Conference 2019 is the opportunity to find out the latest charity finance and sector news, and the regulatory and technical updates which you need to know. It also provides space to step back and develop room for fresh thinking as our speakers share best practice and ideas in strategy sessions. 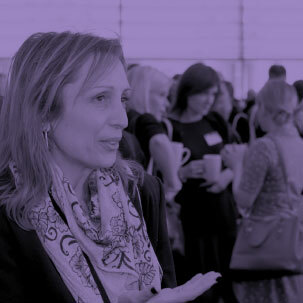 The day is a great chance for you to connect with your colleagues in the sector and share issues and concerns, and have your burning questions answered by the speakers. There will also be an exhibition running throughout the day so you can discuss your charity’s key issues with specialists. Who should come along to the CFG Northern Conference? This event is open to members and non-members and will have valuable takeaways for those responsible for financial management in your charity, including financial managers, finance directors, CEOs and treasurers. View the programme for the day below. CFG members also receive early bird discount so don't miss out – available until 30th April 2019. Would you like to bring a colleague or trustee along? Whether you're a member or not, you can book additional places on this event for just £99 if you're a charity - to do this, email events.team@cfg.org.uk with your attendee details. CFG will provide an overview of the key issues affecting charity finance, from regulation and governance to all the latest changes in accounting and reporting. We’ll also look ahead to see what the next financial year will have in store for the sector. Before you adopt a new income stream, have you established whether your funding base is in a position to support change? This session will offer advice to help understand your current funding structure, and explore how income diversification can help your charity avoid being too dependent on one funding source, or in having restricted income. Negative media coverage can create challenges for the sector and add to a perception of distrust. How can we encourage transparency in our statutory reporting, and use this as a vehicle to increase public trust? Cyber security, data management and fraud are ever changing areas of risk for charities. This session will talk about what the current risks are, give some examples of cyber and fraud attacks, and conclude with how a charity can mitigate against the risks. Tax shouldn’t be taxing! Keep up to date with what you need to know for your role and organisation with the latest on the key issues in VAT and tax. Measuring performance is a crucial step that charities must take to succeed. Charities focus on mission-led benchmarks, but fundraising outcomes can be challenging to measure this way. This session will explore fundraising metric analytical tools available and how they can contribute to fundraising success. Every organisation needs to recover all its costs, and ideally generate a surplus in order to plan for the future. Join this session and learn new approaches you can use to try achieve effective full cost recovery. This interactive workshop will provide delegates practical tools and skills for planning and conducting negotiation with a variety of stakeholders, to maximise outcomes. Digital is an important aspect in today’s third sector. Smaller-sized charities need to be able to integrate digital into strategy without lots of resource. This session will look at how to maximise the use of digital in your charity to work for your beneficiaries. This interactive workshop will provide delegates practical tools and skills for planning and conducting negotiation with a variety of stakeholders to maximise outcomes.